While Apple advertises iCloud's 'Documents in the Cloud' service as a way of keeping iWork files in sync across devices, its been discovered that Mac OS X Lion users can also leverage the service to sync all types of files across multiple Macs. Hidden in the ~/Library of Macs running Mac OS X 10.7 is a Mobile Documents folder that Apple users to sync iWork files between multiple devices registered to the same iCloud account. However, Macworld discovered that the feature is not limited to iWork documents — any file can be placed in the folder and will be synced to the same folder on every Mac connected to the same iCloud account with Documents & Data syncing activated. What is of use is that any files put into the ~/Library/Mobile Documents folder will automatically upload to iCloud and push to any other Mac you have that is signed in to the same iCloud account and has the 'Document & Data' iCloud preference checked. 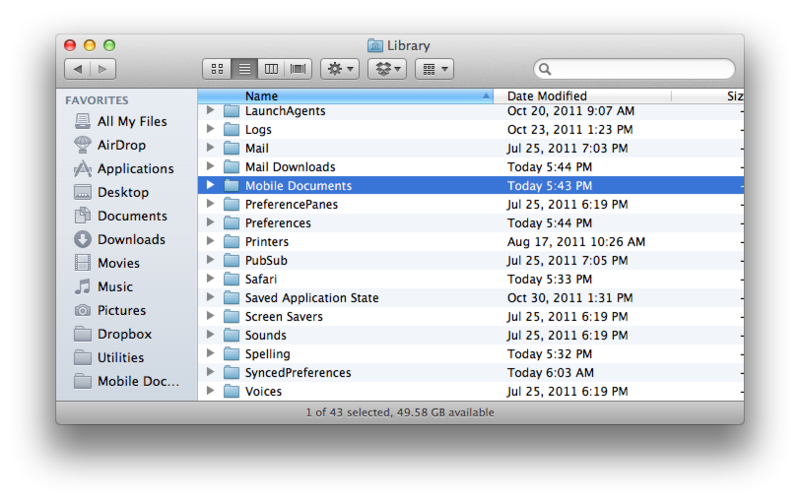 Lion even notifies you of version conflicts and allows you to resolve them when you open the document. The feature is similar, but much more limited, than the popular Dropbox cloud-based file sharing service that Apple co-founder Steve Jobs unsuccessfully attempted to purchase for a reported 9-figure sum before ultimately beginning Apple's own cloud initiative. Currently, the hidden feature lets users sync files only between Macs, as files are not pushed to iOS devices. Still, the discovery offers concrete proof that Mac OS X Lion already includes the architecture required for Apple to not only replicate services like Dropbox that offer more advanced sharing privileges, but also to allow third party developers to have their applications easily work with iCloud by saving their data. To enable the feature, you must activate the "Documents and Data" setting in iCloud's setting preferences. 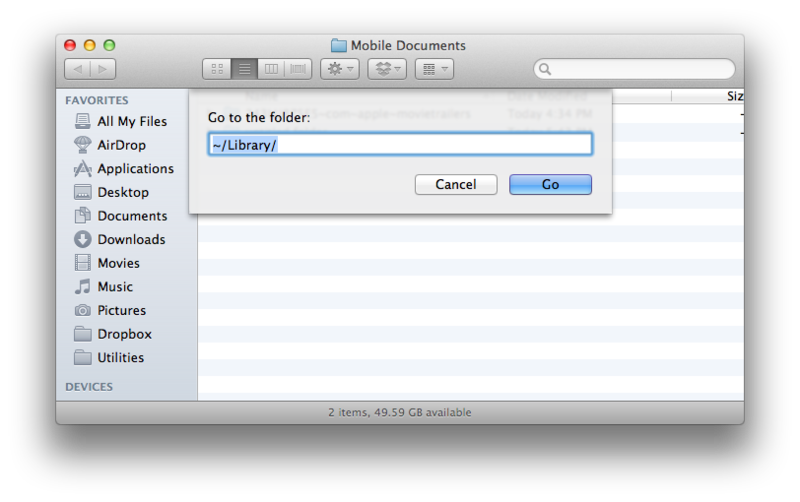 Navigating to the ~Library folder, you'll find a folder named "Mobile Documents." (If you don't, create and save an iWork document ). You should now be able to make an alias of the "Mobile Documents" folder (or a subfolder in that folder) on your dock or Finder sidebar favorites for drag and drop syncing. 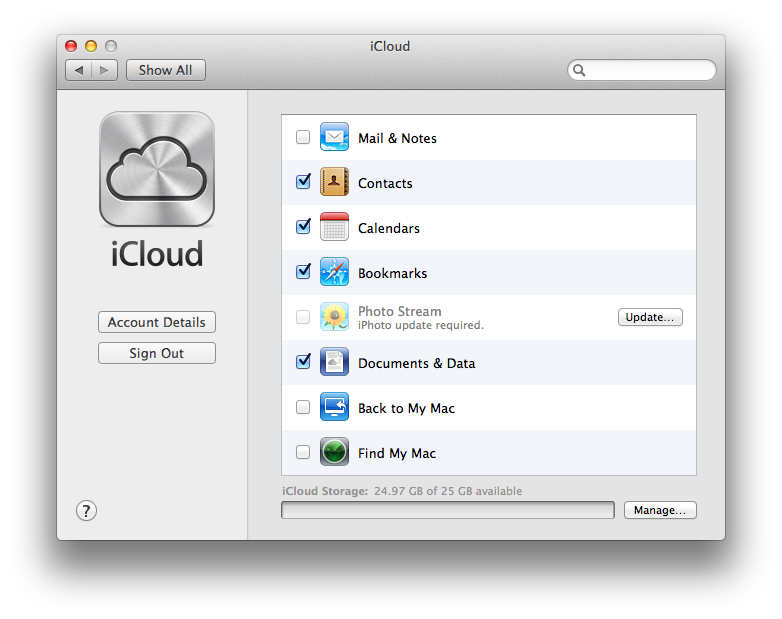 Step 1: Enable iCloud "Documents and Data" syncing. Step 2: Navigate to ~/Library/ in your Home folder. 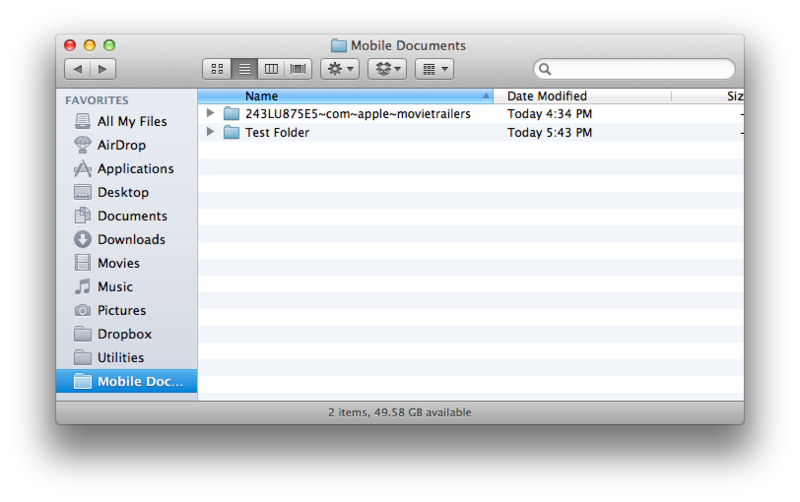 Step 3: Find folder "Mobile Documents." 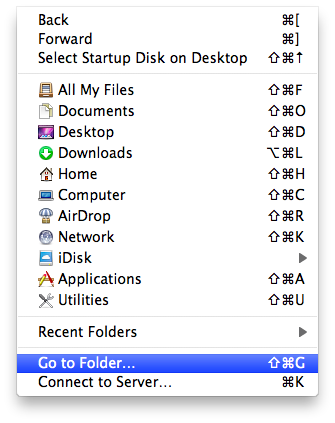 Step 4: Make folder alias or drag and drop "Mobile Documents" to sidebar or dock. Step 5: You should now be able to drag and drop files into "Mobile Documents" and sync with all Macs associated with your iCloud account.